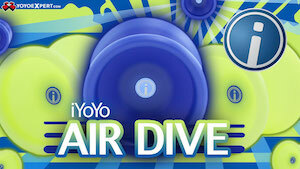 iYoYo Crowdfunding Campaign 1 Day Left! German-based iYoYo has a fundraising campaign on popular crowdfunding platform IndieGoGo for their next model…an injection molded plastic yoyo called Kickstart. The Kickstart will be molded and produced entirely in Germany, which is definitely unusual for the yoyo industry…there’s just not a lot of yoyo production happening in Europe! It also features a unique spacer + shim assembly, intended to let the user choose between a wider gap (unresponsive) and narrower gap (responsive), to suit their skill level. Check out full specs and a blow-apart diagram video of the yoyo below, and then head over to the campaign page to support the campaign and help fund this yoyo! 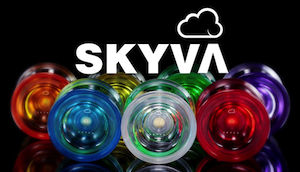 The campaign ends in just 10 days, and they’ve added some awesome perks, including rare new versions of the popular iYoYo Steel. 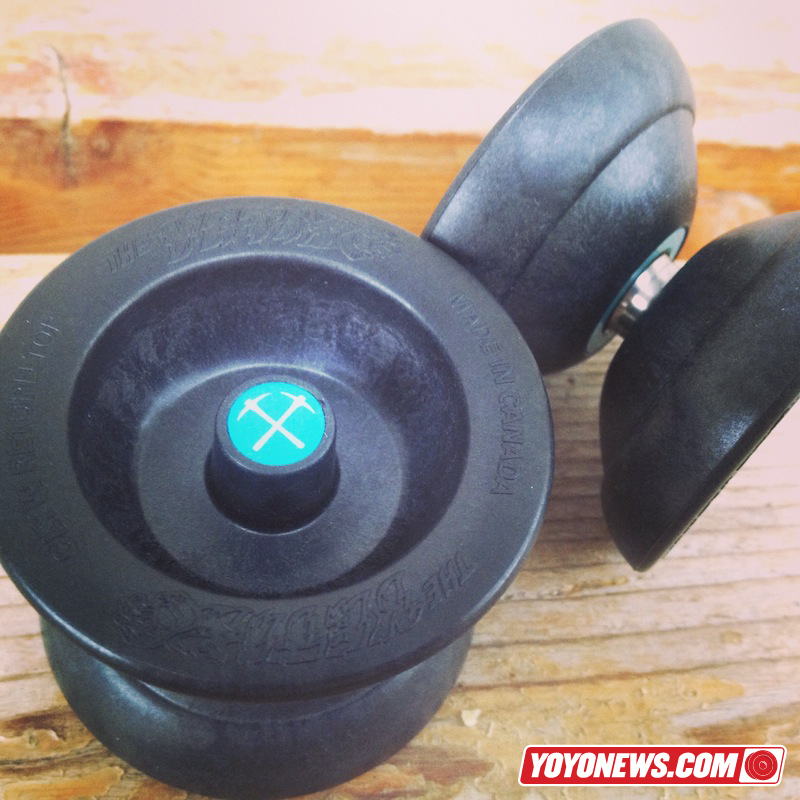 German-based iYoYo has started a fundraising campaign on popular crowdfunding platform IndieGoGo for their next model…an injection molded plastic yoyo called Kickstart. The Kickstart will be molded and produced entirely in Germany, which is definitely unusual for the yoyo industry…there’s just not a lot of yoyo production happening in Europe! It also features a unique spacer + shim assembly, intended to let the user choose between a wider gap (unresponsive) and narrower gap (responsive), to suit their skill level. Check out full specs and a blow-apart diagram video of the yoyo below, and then head over to the campaign page to support the campaign and help fund this yoyo! 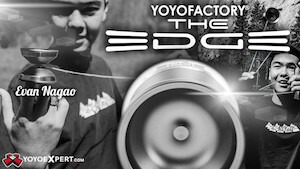 Yoyorecreation has announced another new release for the 2015 World YoYo Contest…a new entry-level plastic yoyo called the FAY! Retailing for just ¥1980 (about $16 USD), the FAY appears to come stock with a half-spec bearing for responsive play, and can easily be fitted with a full-width bearing for unresponsive play. 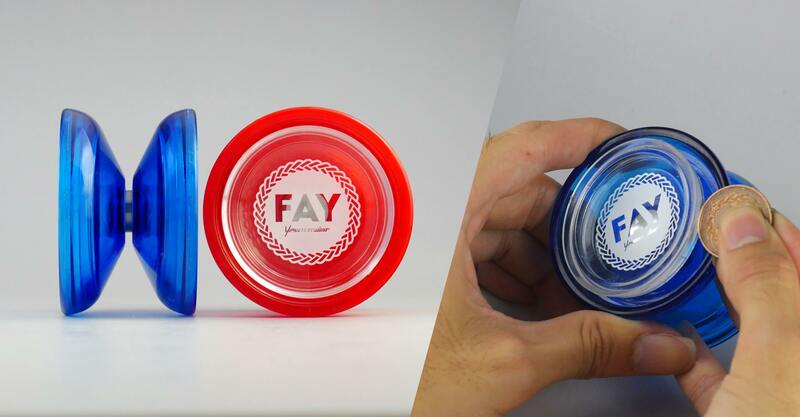 The shape looks great for beginners or advanced players, and at this price point the FAY could be a huge hit for Yoyorecreation! This is also the first Yoyorecreation yoyo to use side caps (yay, side caps!) and they are actually designed to be easily removable. Perfect for customizers! Since 2006, CLYW has built a solid name and reputation on producing some of the best yoyos on the planet. With unmistakable style and quality, owner Chris Mikulin has turned CLYW from an enjoyable side project to his full-time job, and is currently producing some of the most sought-after yoyos in the world for a team full of champions and innovators. For the next step in CLYW’s evolution, Chris has designed their first plastic yoyo: The Yeti. Hailed by former World Champion Yuuki Spencer as “the best plastic I have ever played with”, the Yeti hasn’t even hit stores yet and it’s already as legendary as its name. We caught up with Chris for a quick Q&A session to get some more info on The Yeti, on the eve of its first public showing at the 2013 Bay Area Classic. YoYoNews: So how long as the Yeti been in development? Chris Mikulin: The Yeti project officially started in October 2012. What prompted you to start working on a plastic yoyo? Making an injection molded plastic part has been a goal of mine for over 10 years. During my last year of engineering I realized that I should have gone into industrial design. I would buy ID magazines and check out plastic part design books from the library, all while dreaming of one day becoming an industrial designer or designing plastic parts. I then realized that in an oil town like Alberta, jobs like that don’t really come around. I ended up working in the oil industry for about 9 years. CLYW became my artistic outlet, and ever since the company started I dreamt of the day that we could afford to make a plastic return top. With the success of the Chief in 2012, CLYW finally got into a position that we could invest some money into a mold. Little did I know how much it would actually cost! What does the team think of the prototypes? The ones that have tried it absolutely love it. Zach can’t put it down and Jensen has really been putting it through the paces. We are still ironing out a few things, but it is pretty much ready to go. I decided to use the profile of the Chief but increase the diameter a bit from about 2.225″ to 2.3125″. This would help get us more rim weight and keep the material away from the center. 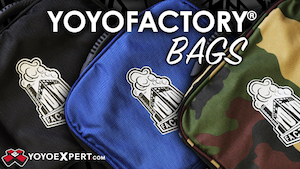 What was your biggest challenge in getting a plastic yoyo into production? The biggest hurdle was finding the right plastic that could make an injection molded return top play the way we wanted it to. Most companies do weight rings or side caps to get the rim weight up. I wanted ours to be simple…no extra parts! This made things tricky since it would involve a non-uniform wall thickness at the rims. Something that is kind of frowned upon in the injection molding world, since this causes sink issues or distortion. During testing, some materials were too soft or too light while others would have sink issues or crazy wobble. We finally found a glass filled material that worked, but the kicker was that it only comes in black. The good thing about it is that it’s more dense than regular ABS/polycarbonate so it can really do really so some neat things for play/weight distribution with our geometry. I can live with this for a first run, because the play is definitely there. It’s just incredible! Over the next few months we will work towards finding a material that can be dyed, but I think we have something ready here to release soon. How soon until we see these in stores? I have invested a huge chunk of money in this mold, so I think most of the first run will be sold direct to help pay it off. Then we will open it up to stores. My goal: available in the CLYW store early July, and other stores before Worlds. We shall see how things go. You never know. The CLYW Yeti will be making the rounds at the 2013 Bay Area Classic this weekend. Find a CLYW player to try one out! Thanks to Chris for taking the time to talk to us, and congratulations to CLYW on this huge step forward!